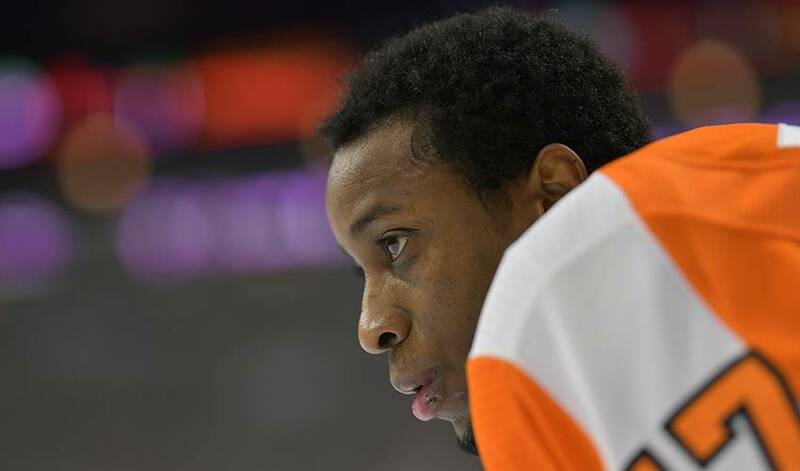 On April 9, the Players’ Tribune published a touching tribute penned by Wayne Simmonds of the Philadelphia Flyers. In it, he shares moving details of his journey from dreaming of one day being Sergei Fedorov as a young, hockey-playing child and the struggles he was forced to overcome in reaching the NHL. The piece is also a plea for his personal hero, Willie O’Ree, to be inducted this year into the Hockey Hall of Fame. O’Ree is an NHL legend and former Boston Bruins player. He was the first black player in the NHL – when he entered the league in 1957 – and Simmonds credits him with achieving his dreams of playing professional hockey. “And honestly, none of it ever would’ve happened without Mr. O’Ree opening the door — not just for me, but for every black hockey player with a dream. That’s why I’m sharing my story with you today. It’s not the easiest thing for me to talk about, for obvious reasons. But my dream simply does not become a reality without Willie O’Ree. Mr. O’Ree should be in the Hockey Hall of Fame. He should be in the Hockey Hall of Fame yesterday. Full Players’ Tribune piece here.